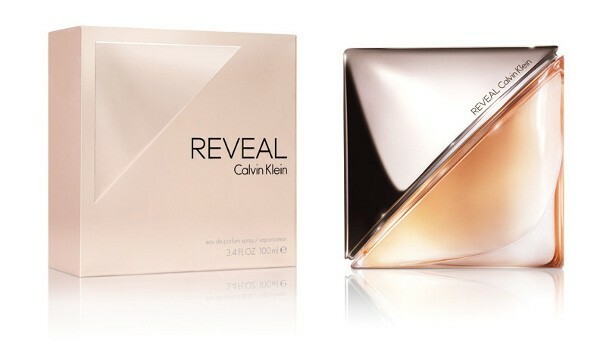 Reveal is a new fragrance by Calvin Klein coming out in September of 2014.Reveal is announced as a sensual oriental; a scent of sun-kissed skin, sea salt, summer sunset and a cashmere scarf that covers the shoulders when the evening approaches. The composition is developed by perfumers Jean-Marc Chaillan and Bruno Jovanovic. Salt accords, white and black pepper at the top blend with the heart of powdery iris and ambergris. Sensual and rich sandalwood gives this fragrance the signature and constructs its base together with vetiver, sandalwood, cashmere and musk. It is recommended for a romantic occasion.